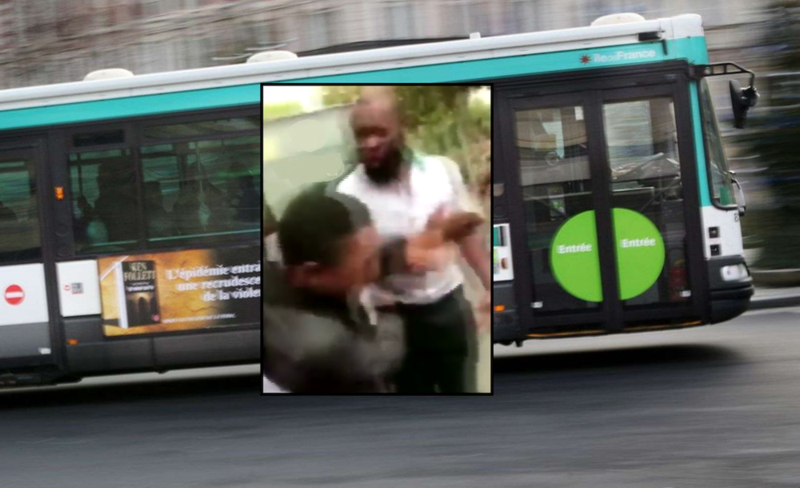 By now, some 300,000 Parisians have volunteered to sign a petition asking the city’s council not to take disciplinary measures against a bus driver who could be seen (on a video that has since gone viral) slapping a child. Accompanied by his mother, 12-year-old M. (who cannot be named for legal reasons) ran across the road in Paris last Thursday around noon to catch his bus. Another approaching bus had to hit his brakes hard and honked his horn to warn the teen not to run across the road. The teen, in response, could be heard yelling ‘ta gueule’ (meaning ‘shut up’) and continuing with ‘ta gueule, continue to route’ (shut up and drive on). The bus driver of line 323 stops the vehicle and gets out of his bus only to, in a widely shared video seen everywhere across France, ask the child how old he is, to which the boy responds 12. The rest, everyone in France today has seen it. The driver, probably overcome with emotion, slaps the child. Given the reaction the viral video has had so far, the French Minister of Transport Ms. Elisabeth Borne involved herself and stated that it is “never normal to hit a child” and asked to the Parisian transport authority to start disciplinary measures against the driver. However, it would appear most Parisians take the side of the driver in this matter. A petition set up by his colleague bus drivers easily passed the 300,000 mark today, meaning it will now have to be discussed in the French city council as well. They state that the driver was simply trying to hit the brakes and safeguard everyone. Furthermore, according to them, this is not the first of these issues. According to several of his colleagues at the RATP (the Parisian bus company involved), it is no wonder that everything was filmed from different angles. Many drivers believe that kids nowadays try to run in front of the busses as a ‘game’ in order to get a reaction from the drivers and get their acts on social media afterward.